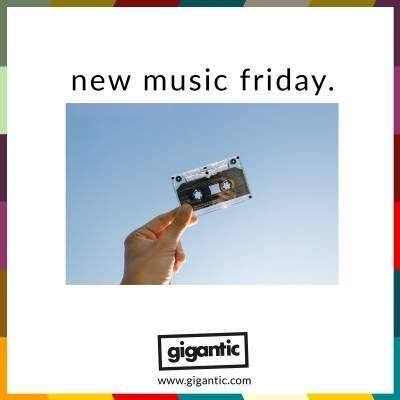 #NewMusicFriday is here to bring you the soundtrack to your weekend. Check out the best new tracks and albums so you are ready to see the hottest acts performing them live! ‘Confessions In The Pool’ is the latest single to be taken from the Ash’s most recent LP ‘Islands’ which broke the Top 20 upon release in May. Inspiration for the song came from Tim Wheeler getting over the heartache of a recent breakup by heading out to Miami with a friend in search of adventure. Whilst sat in the pool drinking copious amounts of cocktails, the pair traded notes with a stranger about where their love lives had gone wrong. The result was one of the most unexpected tracks on the album which fuses their familiar pop infused rock sound with a bit of disco to create an earworm that is going to dig deep inside of your head and stay there for a hell of a long time! Ash tickets are currently available. Perhaps making up for lost time, Razorlight are back with not just one but four new singles! Taken from their upcoming fourth album ‘Olympus Sleeping’ which is expected to be out before the end of the year, the titular song is a return to some good old rock n’ roll, ‘Sorry?’ is a stomping nod to doo wop, ‘Got To Let The Good Times Back Into Your Life’ feels like a crossover between Noughties indie and 70’s British stadium rock while ‘Japanrock’ has the most obvious anthemic feel that we typically associate Razorlight with. So, don you finest white skinny jeans and your deepest plunging v neck tee to join Johnny Borrell and his gang for their extensive December tour to show off the new material plus play their classic hits. Razorlight tickets are currently available. It has been a long time coming, but the new Teleman album ‘Family Of Aliens’ is finally here! Fusing krautrock influences with pop sensibilities, the electronic centric quintet remain on course with their sound and can be very proud of their third full length release. This time round, the London based boys made a concerted effort to move towards a more cooperative method of song writing and we first heard the initial results back in April when they dropped the single ‘Submarine Life’ which merrily bounces along accompanied with vocoder assisted vocals which tell of distant longing before expanding to a big break down and chilled finish. Teleman also teased more of the album with the release of second single ‘Cactus’ during May which has the most infectious bassline ever and has been played virtually nonstop on BBC 6 Music. Plus ‘Song For A Seagull’ which came out last month and saw the band stream their fans on Instagram from the back of the taxi who provided the lyrics with their comments. Teleman take ‘Family Of Aliens’ on tour this month and during October. Tickets are on sale right now and selling out fast! Teleman tickets are currently available. St. Paul & The Broken Bones are the eight-piece Southern Soul band from Birmingham Alabama which have attracted an international audience with their dulcet tones and silky-smooth style interspersed with moments of true spirit which results in truly captivating pop as heard on previous albums ‘Half The City’ and ‘Sea Of Noise’. Their latest LP is titled ‘Young Sick Camellia’ and includes thirteen sublime tracks of expertly fused R&B, soul, funk and good old-fashioned rock and roll which flawlessly exhibits their limitless passion and boundless skill. The quality of the music was insured by recruiting the services of producer Jack Splash whose previous work includes albums for Cee Lo Green, Alicia Keys and Kendrick Lamar, tightly sewing each song to seamless perfection. St. Paul & The Broken Bones tickets are currently available. Georgian folk inflected indie rockers Mothers established themselves as ‘ones to watch’ with the release of their debut album ‘When You Walk A Long Distance You Are Tired’ in 2016. Now, they are back with their highly anticipated follow up; ‘Render Another Ugly Method’. Led by Kristine Leschper, Mothers exists in two forms simultaneously and sees her work both individually and also as a full band. This allows her to reach deep within and produce something truly personal whilst also enjoying the collaborative benefits of being able to experiment with arrangements and time signatures. The result is a largely sombre record, sometimes broken up by the occasional energetic songs like the single ‘Pink’ and ‘Blame Kit’, which skittishly flits and nervously fidgets yet always remains a pleasing listen. By patiently allowing each song to unfold and explore their strange and complexed rhythms, ‘Render Another Ugly Method’ becomes utterly compelling and a satisfying aural joy to get lost within. Mothers tickets are currently available.